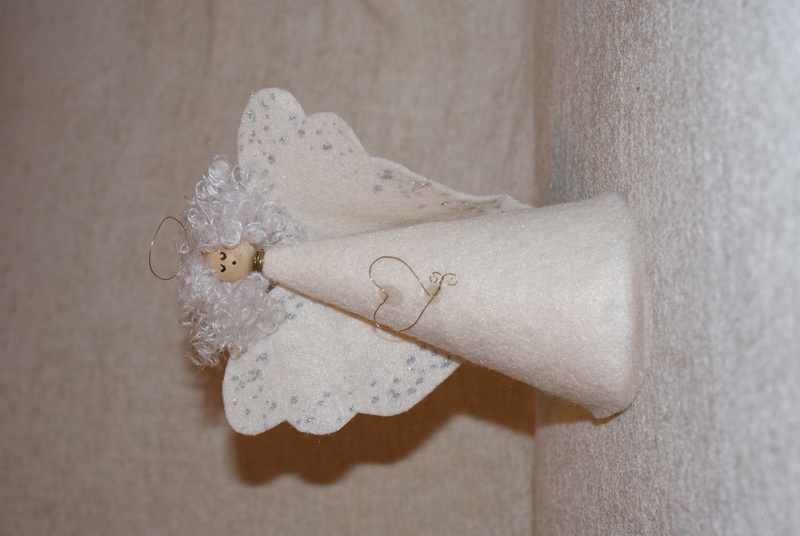 Home / STORE / Angels / Treetop Angel. 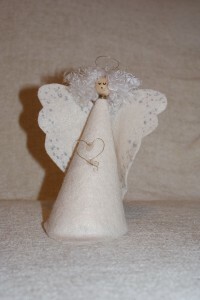 This beautiful angel is designed to sit at the top of your Christmas Tree, She has a card cone body wrapped in off white felt for her dress. The same felt is used for her wings which sparkle with silver glitter. She wears a gold wire necklet and has a gold wire halo. Her white hair cascades from under her halo and around her shoulders. Her dress is adorned with a gold wire heart sending out love and goodwill to all she oversees.